Seeking Alpha: In its quarterly earnings report "OmniVision is forecasting a jaw-dropping increase in next quarter's revenue to $355 million to $390 million, far higher than the consensus $269 million estimates. The revenue forecast is 38% to 50% higher sequentially. You don't boost your sales outlook without something big in the works. ...OmniVision's bullish forecast all but confirms it will be supplying the rumored iPhone 5. The optimistic sales outlook is yet another indication that Apple will be launching the iPhone 5 very soon." "In Q1, we recorded revenues of $258 million and we shipped 166 million image sensors. On a non-GAAP basis, gross margin was 19.5% and net income was $11.6 million. ...Our cash balance decreased by $94 million to $237 million and our inventory balance increased by $112 million to $403 million. These were results of a strategic decision to build inventory to support our fast growing business in the face of strong seasonal demand." "...our most advanced OmniBSI-2 technology such as OV90772, OV5690, OV8850 and OV12830, ...are now being selected for premium mobile device." "R&D expense in the first quarter of fiscal 2013 totaled $28.8 million, a 6.2% increase from the $27.2 million in our fiscal 2012 fourth quarter. The increase in R&D expense was driven by an increase in R&D headcount. ...We currently expect our R&D expense in the second quarter of fiscal 2013 will increase further at a low double-digit percentage rate." Sony Cx-News Vol. 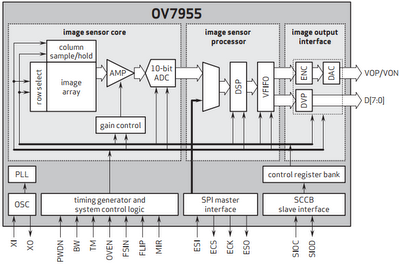 69 mostly consists of image sensor announcements. The most interesting one is the high-speed 12.4MP 1/1.7-inch IMX144CQJ BSI CMOS sensor. The sensor is based on 1.85um pixels and delivers 35fps at full resolution. It also has a 4K video mode (4096H x 2160V) at 60fps. ICX693AQA (RGB version) and ICX693AKA (CMYG version) CCDs has SVGA (800 x 600) resolution and 50fps speed in 1/3-inch format. The new CCDs have 6um pixels. 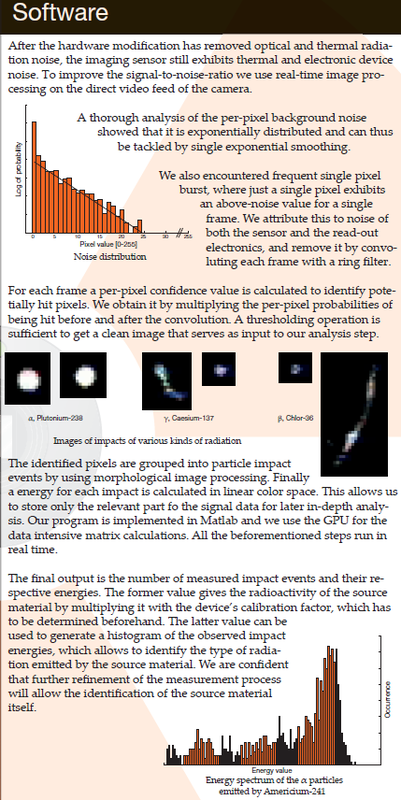 Comparing to a previous generation VGA CCDs, even though their unit cell area is approximately 34% smaller, their sensitivity is 2.4 times (+7.7 dB) greater, saturation signal level is 2.6 times (+8.3 dB) better and smear characteristics are approximately -15 dB, all of which add up to a significant boost in improvement. Other than image sensors, Sony announced a new ISP + H.264 Encoder chip series called "Xarina" and targeting next generation of IP Surveillance cameras. The CXD4135GG (chip) and CXD4235 (chip+DRAM module) support WDR imaging, motion detection, face detection, noise reduction (3D-NR/2D-NR), digital image stabilization, and other intelligent functions. H.264 and Motion JPEG video encoding support video streaming at up to 1920 x 1080p at 60 fps. It was brought to my attention that AltaSens, Inc. has announced that it has been wholly acquired by JVC KENWOOD on Aug. 10, 2012. After the acquisition Altasens becomes a wholly owned subsidiary of JVC KENWOOD. "AltaSens’ products and technology have tremendous applicability to JVC KENWOOD’s existing products such as security camera, professional video camera, and future product developments," said Kensuke Kawai, JVC KENWOOD’s Officer and CTO. "AltaSens will be aiming to accelerate growth as a self‐standing company with numerous outside world‐class customers and tremendous sales potential in this rapidly growing industry." Lester Kozlowski, AltaSens Founder, CTO, and COO stated, "We are extremely excited by this acquisition and the tremendous opportunity to work even more closely with JVC KENWOOD in the future. We are equally as thrilled with the renewed focus on quickly creating unique products leveraging innovative sensor technology for our existing and prospective customers. 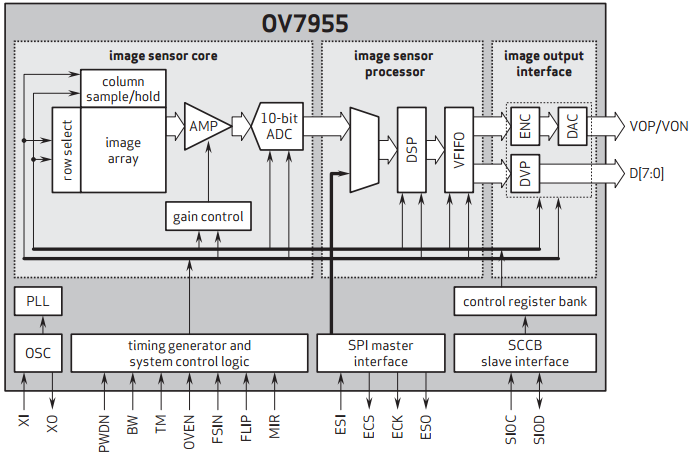 We consequently look forward to once again providing the world’s best image sensors." JVC Kenwood CTO Kensuke Kawai becomes Altasens' President and CEO. The news appears to be announced only on Altasens web site. Thanks to PM for pointing me to it! Update: I was told that AltaSens used to be a fully owned subsidiary of Olympus Corp. Now JVC-Kenwood aqcuired it from Olympus. With this AltaSens becomes a fully owned subsidiary of JVC-Kenwood. Digitimes' sources report that OmniVision is looking to buy a stake in Wuhan Xinxin Semiconductor Manufacturing, a 12-inch wafer fab in China. Wuhan Xinxin is a joint venture between SMIC and the Wuhan government. SMIC managed Wuhan Xinxin for the local government until around mid-2011 when both parties entered a joint venture agreement allowing SMIC to not only manage but also invest in the 12-inch fab. Reportedly, Omnivision has already proposed to buy the shares of the 12-inch fab held by SMIC and Wuhan City for approximately US$80M. The talks are supposed to be finalized in the middle of September. 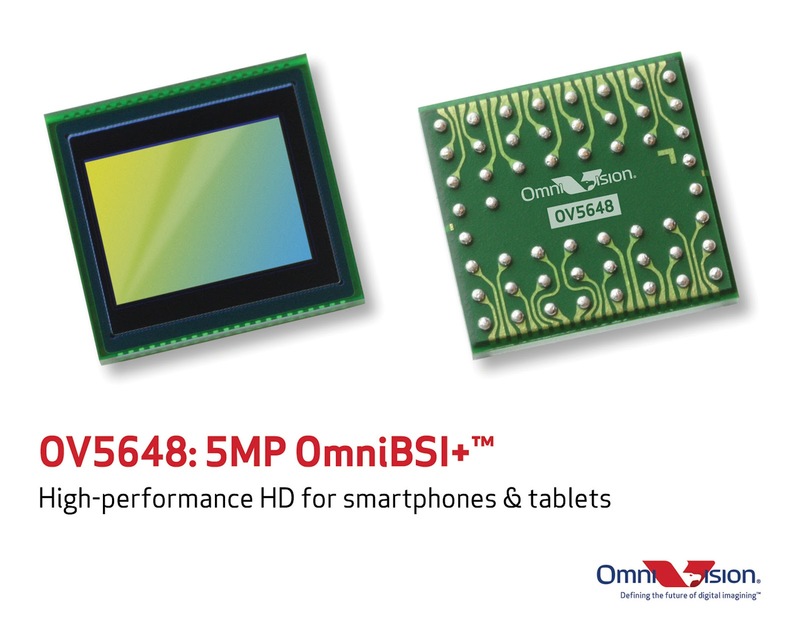 So far OminiVision uses TSMC and Powerchip fabs for its sensors. In response to the speculations, TSMC reiterated that its cooperation with OmniVision remains unchanged. Wuhan Xinxin now has a monthly capacity of about 20,000 12-inch wafers, with a goal of achieving a production capacity 45,000 units per month. Albert Theuwissen explains how to measure and interpret the Photon Transfer Curve (PTC) in his latest blog post. Sweden-based Tobii Technology, a maker of eye tracking and gaze interaction systems, announces its selection as a Technology Pioneer by the World Economic Forum. With Google Project Glass and Mirosoft Fortaleza Glasses the eye tracking might play a big role in the future applications. Earlier this year Tobii was recognized by Microsoft for its development of Tobii Gaze, an eye-tracking computer interaction method for the Windows that is said to provide users a more natural, comfortable and intuitive interaction method for computers as the company continues to pursue its vision of eye tracking-enabled consumer computing. 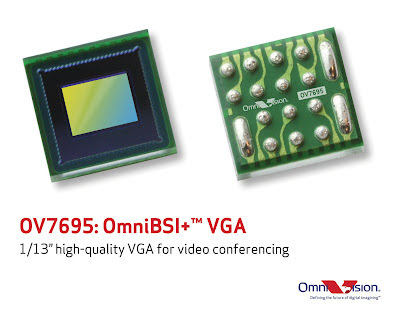 PR Newswire: Toshiba announces two new HD video sensors to its CMOS sensor lineup. The 1/7-inch T4K08 is Toshiba's first native 720p/30fps HD video sensor combining 1.75um FSI pixel with SoC image processing on the chip. The 1/4.4-inch T4K24 is Toshiba's first native 1080p/30fps FHD format 1.75um FSI pixel sensor. 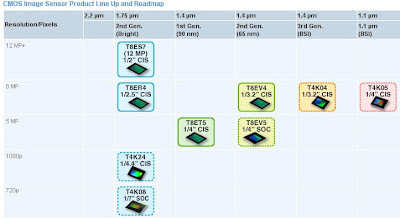 The T4K08 format sensor and T4K24 image sensor samples are currently available with mass production, for both devices, targeted at fourth quarter, 2012. Sample pricing for the T4K08 720p is $3.00. The T4K24 1080p is priced at $4.00, also in sample quantities. The OV7695 is currently available for sampling, and is expected to begin mass production in Q1 2013. PR Newswire: PrimeSense is one of 23 of the world's most innovative technology start-ups that are being recognized as a World Economic Forum Technology Pioneer. A selection committee, comprised of technology and innovation experts, academics and venture capitalists, reviews all applications before making its recommendation to the World Economic Forum. "PrimeSense is proud to receive the World Economic Forum award and honored to be recognized as a Technology Pioneer," said PrimeSense CEO, Inon Beracha. "After taking part in revolutionizing the gaming industry and the living room TV experience, PrimeSense 3D sensing technology is now entering a variety of additional new markets, such as robotics, industrial markets, interactive displays, healthcare, retail and more. In all these markets PrimeSense technology transforms machines and devices by giving them the gift of sight, enabling them to see and interact with their environment." Business Wire: S3 Group, a provider of IP and services, has licensed a Video DAC to Aptina for an upcoming CMOS image sensor. It's said to be a customized, very low area, single Video DAC supporting Composite Video. "We chose S3 Group because of their expertise in DAC design, their extensive knowledge of the target process, the availability of a suitable DAC, their price competiveness and that they could meet our delivery schedule.," said Sion Quinlan, Aptina’s Director of Circuit IP. 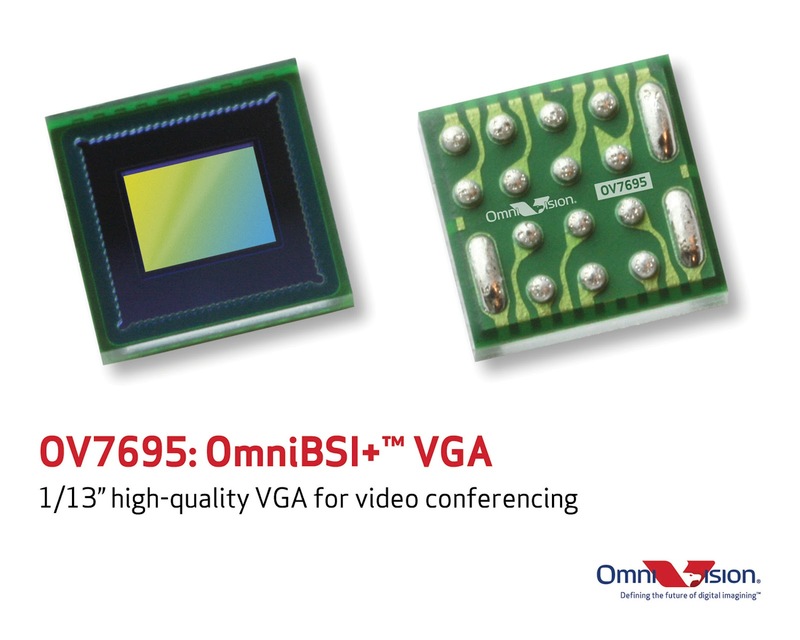 OmniBSI+ pixel offers improvements over our original OmniBSI architecture, including a 60% increase in full-well capacity and a significant improvement in low-light performance. The 1/4-inch OV5648 is capable of capturing 720p HD video at 60 fps and 1080p HD video at 30 fps. 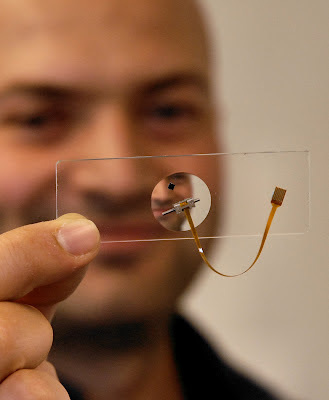 The OV5648 is currently sampling and is expected to enter mass production in Q1 2013. "In light of the imperatives of the Cameron Gulbransen Kids Transportation Safety Act, we anticipate heightened demand for rear-view camera systems. To address that need, we are bringing to market an image sensor that is 40 percent smaller than competing products, and that is offered at an extremely competitive cost," said Jeff Morin, automotive marketing manager at OmniVision. "We are extremely pleased with the OV7955's low cost, small footprint and exceptional performance, and have already begun shipping this sensor to major automotive manufacturers from around the world for incorporation into their mainstream automotive designs." The new sensor is based on 6um-sized OmniPixel3-HS pixels with sensitivity of 16 V/Lux-sec, maxSNR of 38dB and dark current of 16 mV/s @ 50C. The OV7955 is housed in a compact 5.7 x 5.4 mm aCSP package. New Scale Technologies patented its reduced-voltage piezoelectric AF motor and drive system, capable of operating directly from battery voltage as low as 2.3 VDC. With no need for boost circuits the system size and component cost is reduced. The low-voltage motor is said to be more than five times smaller than commercial electromagnetic linear motor systems and uses 40% less power, while delivering competitive force and range of motion. The latest version replaces the original SQUIGGLE motor’s monolithic piezoelectric elements with advanced multi-layer piezoelectric elements from TDK-EPC to achieve the reduced operating voltage. The NSD-2101 drive circuit was developed in partnership with ams using New Scale’s control algorithms to increase motor efficiency and refine the motor control capabilities. U.S. patent # 8,217,553 was issued July 10, 2012 to inventors Qin Xu, David Henderson and Daniele Piazza. As Truesense keeps converting former Kodak ISS group documents to its new ownership, the updated image sensor glossary popped up in my news alerts. Although the original is quite old, it's still one of the best glossaries available for free on the net. 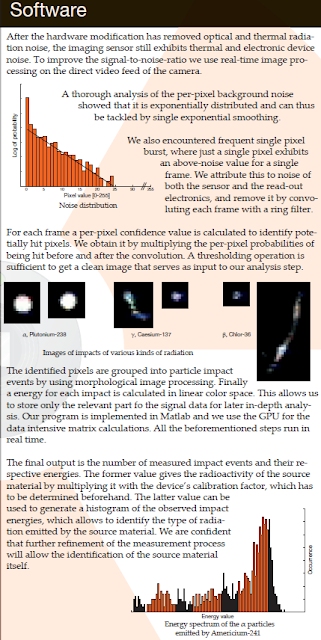 Caeleste published references on downloadable SPIE paper and presentation discussing initial results of its challenging joint project with e2v and ESO named "Backside-Illuminated, high QE, 3e- RoN, fast 700fps, 1760×1760 pixels CMOS Imager for AO with highly parallel readout". Truesense blog post expresses excitement and satisfaction by its sensors performance on board of Curiosity rover on Mars. IMX135, the 13.13MP (eff) 1/3.06-inch sensor model and IMX134, the 8.08MP (eff) 1/4-inch sensor feature "RGBW coding" and "HDR movie" function. The "RGBW coding" has W (white) pixels in addition to conventional RGB pixels, and leveraging Sony’s proprietary device technology and signal processing to improve low-light sensitivity without compromising its high resolution. "HDR movie" function enables two different exposure conditions to be configured within a single screen when shooting, and seamlessly performs appropriate image processing to generate optimal images with a wide dynamic range. The other “Exmor RS” sensor is the ISX014, a 1/4-inch model with 8.08MP (eff), which has a built-in camera signal processing function that, apparently, does not support "RGBW coding" and HDR. Sony will also bring to market three compact AF camera modules equipped with newly-designed lens optimized for the 1.12mm pixels: the IU135F3-Z, IU134F9-Z and IUS014F-Z. The IU135F3-Z module incorporates fast F2.2 lens. The IU134F9-Z (W:8.5 x D:8.5 x H:4.2mm, excluding FlexPCB) is thin and compact. More pictures from the 2ps camera are at MIT femtophotography.info site. Thanks to EF for the link! Taiwan-based Market Intelligence & Consulting Institute (MIC) anticipates that global mobile phone market volume will reach around 1.78 billion units in 2012, 1.48 billion of which will be camera phones. Camera phones' share of the global mobile phone market is estimated to stand at 83.2% in 2012 and further to 84.8% in 2013 as the camera phone market volume is expected to see a 10.5% year-on-year growth in 2013 to 1.63 billion units. Enrico Marchesi, Head of Marketing & Sales at Switzerland-based ESPROS Photonics image sensor foundry, offered a unique opportunity to answer on our questions about the company and its technology. It would be sort of open interview when everyone of us can ask questions, as many as we wish. Then Enrico will filter out the offensive questions and also those that ask for a too sensitive information, and present his answers on the rest of them. One can read about ESPROS foundry offerings on the company's website (click on side links there). ESPROS internal work on ToF images has been covered in this blog here and here. Please feel free to submit questions in comments. Digitimes quotes Pixart's chairman Huang Sen-huang saying that the company expects its revenues to grow 40-50% sequentially in Q3 2012 as demand for IC parts for optical finger mice (OFM) and gaming consoles will enter its traditional peak season. The OFM chip sales are likely to record a 40-50% sequential growth, while those for gaming consoles are expected to increase four-fold buoyed by demand from Nintendo, according to Huang. Sales of chips to Nintendo will account for 17-20% of Pixart's total revenues in the Q3, compared to 5% in the previous quarter. Pixart has reached a cross-licensing agreement with Avago on production of chips for OFM and will see sales of Avago OFM chips to start contributing to Pixart's sales growth in Q3 2012. Albert Theuwissen's blog post discusses measurement of temporal noise dependence on the light level. Here's why: "When an object is moving close to the speed of light, relativistic effects occur. For example, to an external observer an object moving very fast appears squeezed in the direction of the object’s motion (Figure above). This so-called Lorentz contraction arises from the timing in which light from the fast-moving object arrives at the observer. Bliokh and Nori have now shown that if such an object also rotates at the same time, for example a flywheel, then the rotating motion is also affected. The spokes in the wheel appear distorted in a way that makes them seem denser in one direction than the other." On the other hand, a rolling shutter with carefully chosen curtain speed in the direction of movement can compensate for, at least, the squeezed shape of the wheel. 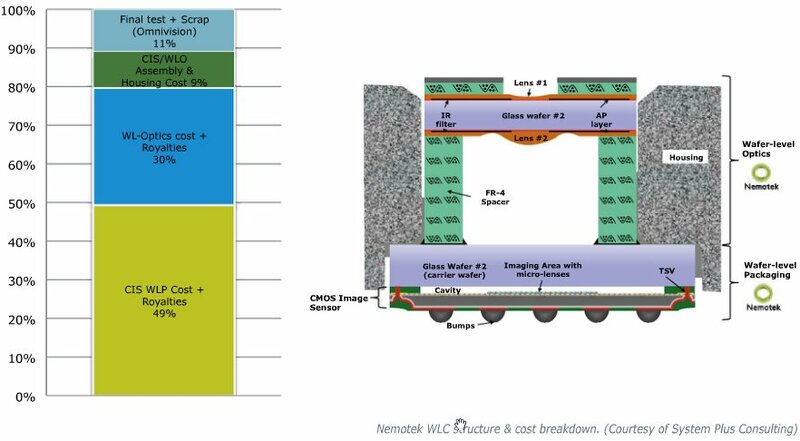 "...CMOS image sensors and wafer level optics were among the non-driver products which delivered outstanding sequential growth. ...We delivered a decent sales growth in CMOS image sensor in the second quarter thanks to some early shipments of our 1 megapixel products which were taken by customers to manufacture the new generation notebook PCs with the Windows 8 operating system. As many of you are aware, 1 mega-pixel, or HD, sensor is replacing the 300,000-pixel VGA sensor to become the mainstream for notebook PCs after Windows 8. However, with the delay of Windows 8 launch from Q3 to Q4, we are seeing a sudden and drastic demand slow-down for our 1 mega-pixel sensor during Q3. Given our design-wins with a number of tier-one notebook names, we expect such demands to resume in Q4 and accelerate in next year, assuming Windows 8 is launched in Q4 as most people now expect." "GeigerCam: Measuring Radioactivity with Webcams"
ABI Research says ​that by the end of 2012 almost 20% of annual smartphone shipments will include facial recognition capabilities. ABI projects a steady adoption of the technology in mobile devices and numerous mobile device application processor makers have begun drawing plans and benefits for the technology. In five years’ time, shipments of smartphones and tablets with the technology will increase to 665M annually. The technology is already being actively marketed and implemented in smart TVs with the ability to identify the user (watcher) having numerous advantages in this sector. "Facial recognition technology has improved drastically over the last 10 years and accuracy is almost always above 90%," says ABI Research senior analyst Josh Flood. "That said, lighting conditions and facial expressions can sometimes cause problems with the recognition. However, the improvements in camera resolution and processing power utilized by mobile devices has helped greatly." EETimes, MIT News: Researchers at MIT’s Computer Science and Artificial Intelligence Laboratory (CSAIL) created a new programming language called Halide and optimized for image processing on parallel cores. The Halide programs are said to be easier to read, write and revise than image-processing programs written in a conventional language. Halide automates code-optimization procedures that would ordinarily take hours to perform by hand, they’re also significantly faster. in memory bandwidth more than makes up for it. 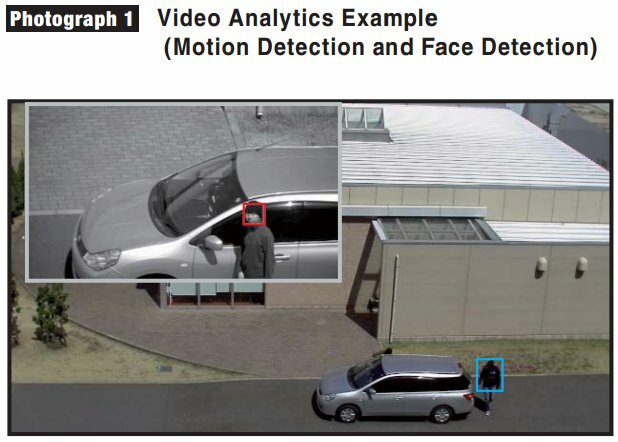 MarketWire: Boston Semi K.K., a subsidiary of Boston Semi Equipment LLC (BSE Group), and its partner, Showa Leasing Co., Ltd. (Tokyo, Japan), a member of the Shinsei Bank Group, announce the commencement of approximately $5M worth of equipment under lease for image sensor testing applications at a major test house in the Kyusyu, Japan area (probably meant to be Kyushu). Boston Semi K.K. provides flexible equipment lease options for customers to buy equipment from and sell to the secondary market. I know only one major image sensor company in Kyushu area. It's Sony. PR Newswire: SiOnyx announces a strategic investment and technology development agreement with In-Q-Tel (IQT), the independent strategic investment firm that supports the US Intelligence Community. Through this strategic partnership, SiOnyx will accelerate the integration of Black Silicon VIS/NIR/SWIR image sensors in low cost imaging systems. "We are excited to have In-Q-Tel as a strategic investor and partner," said Stephen Saylor, SiOnyx CEO. "Our partnership will expand our platform capabilities to include applications that will potentially address the needs of the government market while accelerating our entry into next generation consumer and commercial opportunities." Update: Boston Business Journal says that SEC filings indicate SiOnyx has closed a $6.9M venture financing, last quarter – representing its Series C venture capital round. So far SiOnyx has raised more than $30M, and is looking to add another $9 million to its Series C round. Business Wire: Berkeley Design Automation has grown a significant user base recently. About a year ago Berkeley DA announced that Altasens and Forza are using its FastSpice simulator. Now Teledyne Scientific & Imaging, LLC, a subsidiary of Teledyne Technologies Incorporated, has selected the company’s Analog FastSPICE (AFS) Platform for block-level characterization and full-circuit verification of their image sensor designs. The AFS Platform is said to deliver SPICE accuracy 5x-10x faster on a single core and >2x faster on multicore systems versus any other simulator. For circuit characterization, the AFS Platform includes device noise analysis and delivers near-linear performance scaling with the number of cores. For large circuits, it's said to deliver >10M-element capacity, the fastest near-SPICE-accurate simulation, and the fastest, most accurate mixed-signal simulation. After Truesense and e2v announcements, Teledyne DALSA publishes that the image sensors for the Curiosity's Navcams and Hazcams were manufactured in its Bromont, Quebec, foundry, as were those on the previous Spirit and Opportunity rovers. The hazard avoidance cameras are installed on each corner of the rover and the 3D stereoscopic navigation cameras are part of the rover's camera mast. After Truesense announcement last week, e2v too reminds that its sensors equip both the Curiosity rover’s Chemistry and Mineralogy instrument (CheMin) which was developed by NASA’s Jet Propulsion Laboratory (JPL) and the Chemistry & Camera instrument (ChemCam) which was developed by the Los Alamos National Lab under an agreement with NASA’s JPL. Himax Imaging has updated its website and added the News category. The first announcement talks about 1/4-inch 5MP HM5065 SoC. The new sensor delivers 15fps at full resolution through its MIPI interface. This is the first Himax product featuring 1.4um pixel. No official word is said about the pixel type, but Chinese-language Camera Module Forum mentions it as BSI. The pixel sensitivity at 530nm is 520 mV/Lux-sec, SNRmax is 35.6dB, CRA is 25.8deg non-linear. The active power is 255mW. The company says it has already secured design wins from top tier customers for the HM5065. The HM5065 is currently available for sampling, and will enter mass production at the end of Q3 2012. 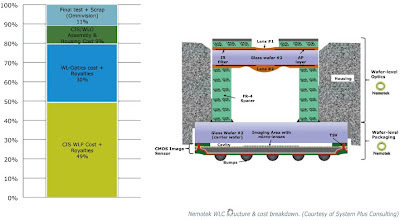 It appears that Novatek, the chief Himax competitor in display drivers, also manufactures and sells image sensors on Chinese market. The Camera Module Forum lists its 1/4-inch 1MP NT99140, 1/5-inch 2MP NT99250 and NT99251 and 1/4-inch 3MP NT99340 sensors. No information is publicly available on Novatek sensors. Plastic Electronics: CEA-Leti spin-off Isorg is currently qualifying its plastic image sensor production process. Initial products likely to feature Isorg's sensor strips will include toys and merchandise, in 2013. The pilot line includes screen, inkjet, slot die, gravure and sputtering tools for producing the sensors in a fully printable, air-ambient process to reduce production costs as demand and volumes increase. Device connectivity speed: Megabits per second per dollar (Mbps/$) will improve 37% CAGR. Storage: GigaBytes per dollar (GB/$) will improve 35% CAGR. So, whoever complains that we are shrinking pixels too fast, should compare it with Mbps, GHz and GB of others. 1). When CTE [Charge Transfer Efficiency - ISW] isn't behaving which smooth's out the shot noise measurement. The CTE problem has to be pretty bad though for it to influence e-/DN. Why use the sensor in the first place ? 2). When V/e- nonlinearity is present (e.g., CMOS). However, one additional step to the standard PTC approach makes the technique viable. Here you will interestingly find that PTC will need to keep track of two gain terms. i.e., SIGNAL (e-/DN) and NOISE (e-/DN). For they are different as signal varies. 3). When the incoming wavelength is < 4000 A. Short wavelengths produce multiple electron hole pairs (i.e., quantum yield). PTC reacts with a e-/DN gain shift (decreases with decreasing wavelength).